When we started the camp project, one of the big projects on our list of important items was a new swimming pool. Here in the tropics dry season temperatures run in the high 90’s or even into the triple digits on a regular basis. A person sweats just sitting in the sweltering heat of the midday temperature peaks. If we consider a swimming facility a must at an American church camp, then it is even more so down here. We solved the problem temporarily with an above ground pool. But it was small and needed regular care. After three years use it was on its last legs, having served well. With the camp development moving along well, it was time to develop a proper swimming pool for camp use. The front part of the property had a very small family sized swimming pool when the church acquired it. But for a camp with a hundred kids or more it was way too small and we had to work shifts through the pool all day long to give everyone a chance to cool off a bit. 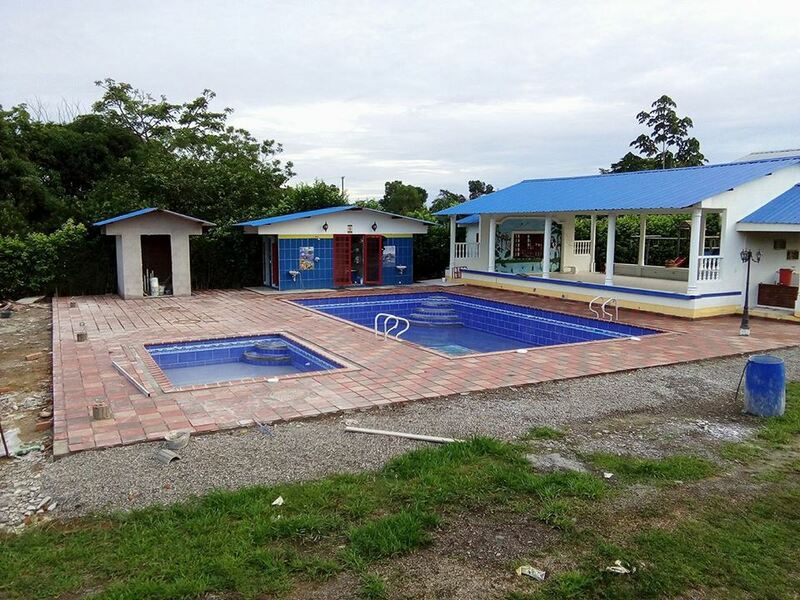 Plus that pool is showing its age and needs a major overhaul. 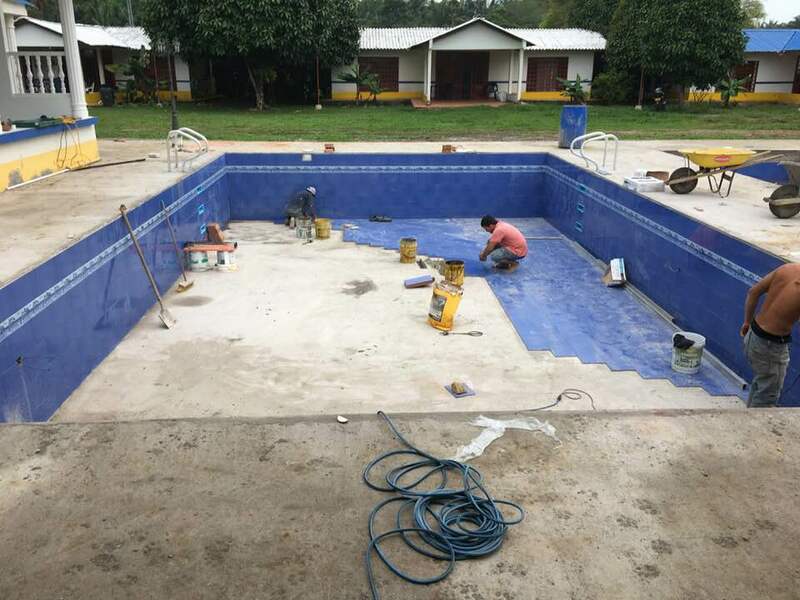 Rather than put a substantial amount of money into it, we decided it was time to build the regular group size swimming pool for use by the camp activities. At the same time the school is currently renting a place for physical education. 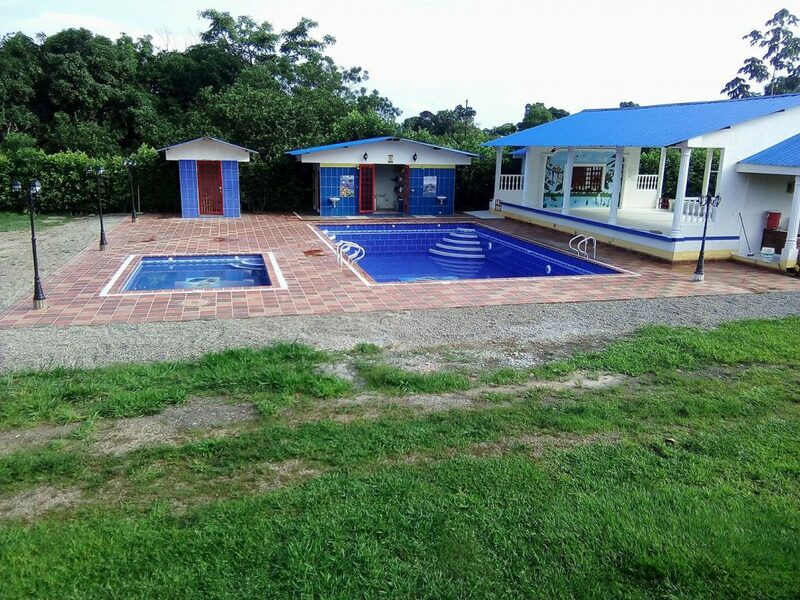 With a finished pool and sports complex, we could save the money we are now paying in rent and use the camp to an even greater degree by daily taking the Pys. Ed. classes to the camp. The combination of a sports complex and a pool will give us a top notch facility for camp and school use during the entire year. Still, we had doubts as full funding had not come in for this project. One fleece we had laid out before the Lord was having an excavator come down on a work crew to get the job of digging the hole done quickly and be able to move rapidly forward on this project. This year, the Orrville Christian Church sent a group of fifteen, including a professional excavator and several others who were skilled in heavy equipment usage. Even though we did not have the $45,000 on hand to fully fund the project, we decided to move ahead. With the work crew contribution, we were able to reduce the total cost by about $15,000, leaving us with $30,000 to raise for this project. 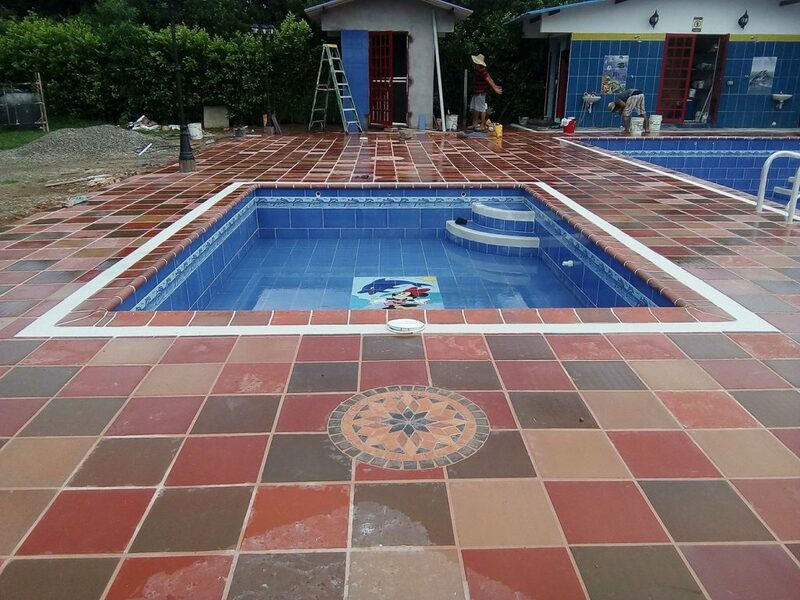 At this writing, the workers are now putting the final touches on the pool. We have an urgent need for the $30,000 remaining to get this fund out of the red. If you or your church can help we would greatly appreciate it and so would the hundreds of kids who go through our camp program each year.